Book Review: "The Quilt Block Cookbook"
Here is another beautiful book from Lucky Spool Media, LLC. 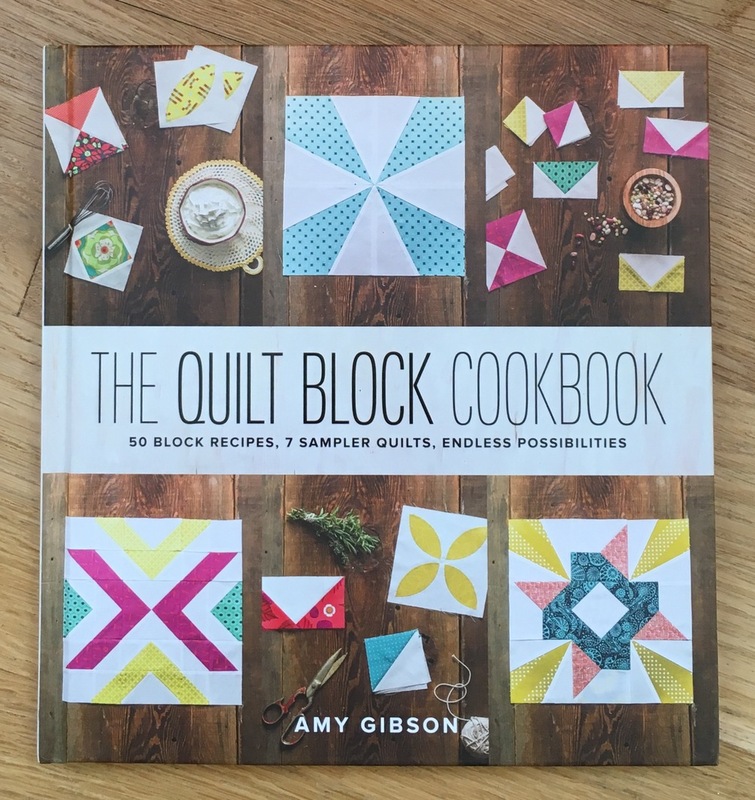 The Quilt Block Cookbook by Amy Gibson, was published at the beginning of July this year. (It apparently has sold out at the publisher, but can still be found on Amazon)! This is a book of 12 inch quilt block designs. There are 40 complex blocks and an additional 10 simpler "staple blocks" which can be used for alternate blocks between the more detailed blocks. An assortment of the 40 blocks can be used to make a traditional Sampler Quilt, but Amy has also made several Modern quilts which just use a a few of the blocks. There was an "Ah-Ha!" moment when I turned the page and saw her "Bouce" quilt. It has just 6 of the quilt blocks and it is really striking! While she uses the computer quilt program Electric Quilt 7 to design her quilts, Amy suggests some great ways to test out a quilt's lay out if you don't own a quilt design program but do have a camera or a scanner. Brilliant, and fun too! Each of the blocks in the book has its own photo. All the block photos are the same size which is great if you want to use Amy's options to lay out a quilt. Under the photo of each block are fabric requirements and basic construction information. In the back of a book there is "Unit Piecing Guide" with diagrams and detailed information about how to make the separate units in the blocks. This is one of those books I know I will keep coming back to for ideas! The Instagram hashtag for sharing blocks or projects is #TheQuiltBlockCookbook if you want to post your blocks or see what other folks have been making.